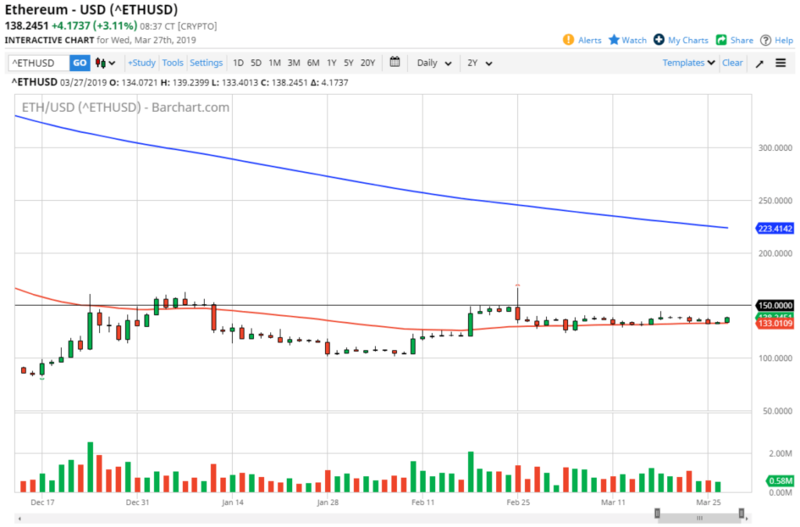 Ethereum markets rallied a bit during the trading session on Wednesday as we continue to see signs of life in a market that has been quite flat for some time. If you do not look a little closer though, you don’t see the subtle signs of life starting to creep into the crypto markets overall. 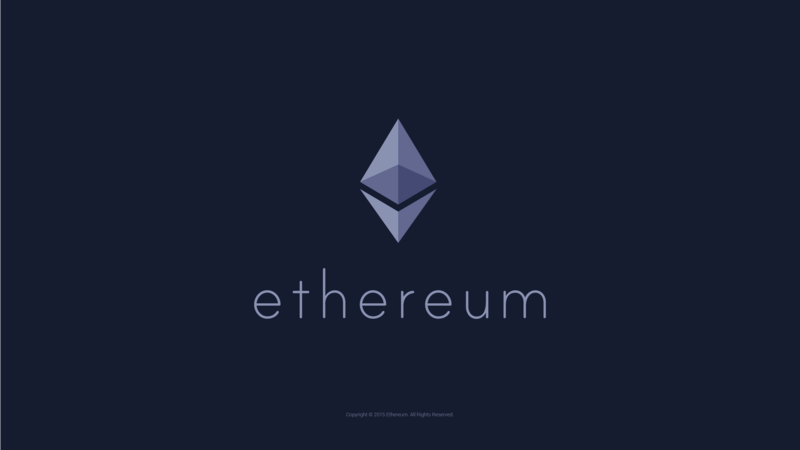 Of course, Ethereum isn’t going to be any different, as it tends to follow Bitcoin. You can’t speak about crypto currency markets unless you talk about Bitcoin. 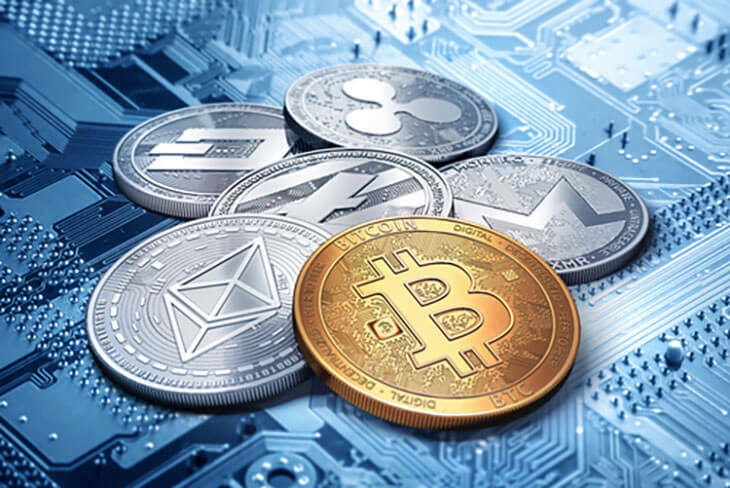 Bitcoin seems to be basing at this point, and it also will have an influence on the rest of the crypto currency world. Ethereum will follow right along, and as it is one of the bigger ones out there, it could be one of the first ones that money flows to as soon ASCAP bitcoin finally breaks out. Currently, it appears that Ethereum is trying to base at the 50 day EMA, just as Bitcoin is. Just above there is a significant amount of resistance at the $150 level, which of course is a large, round, psychologically significant figure. That tends to attract a lot of traders in general, not only from an algorithmic standpoint, but also from the large order flow that comes in due to institutional traders. The obvious breakout point is at the $150 level, and we have a shot above there at one point. However, we could hang above there for the entirety of the session so I think the obvious signal would be to buy the market on a daily close above the $150 level. That would show a rebirth of strength and should send this market to the $200 level next. With that we can be very patient and wait for a daily close to put money to work. However, we could get a bit of a pullback and for those that are willing to build up a bit of a long-term core position, you can use the 50 day EMA as a potential buying area as well, which is currently at the $133 level. Ethereum of course is traded in several different currencies around the world, and in this look I’m taking a gander at the ETH/GBP pair. 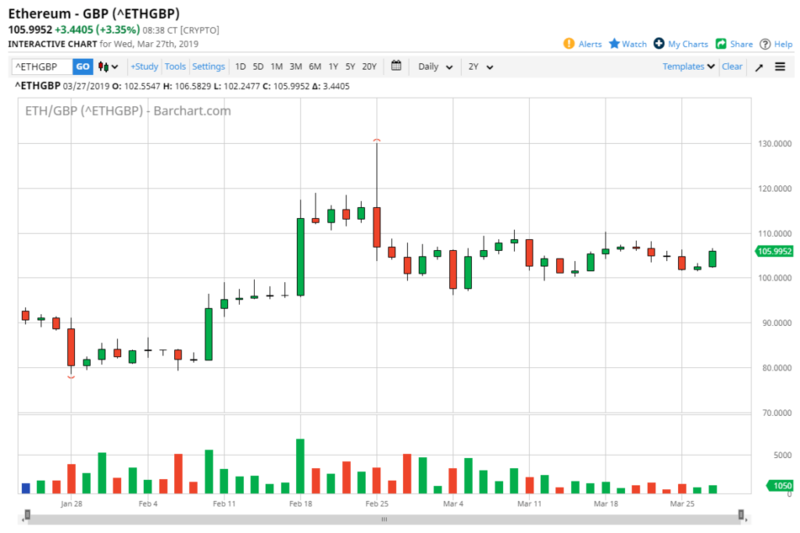 The British pound of course has been relatively weak so you would expect Ethereum to skyrocket against the British pound if it was truly strong. Since it isn’t, this tells you why we probably have a bit of time before we really start to take off to the upside. This gives you the ability to build up a larger position, and I would press upon you to pay attention to the other currencies. It’s obvious that the 100 GBP level is rather significant support, and it is of course a large, round, psychologically important number. It seems as if there is a bit of support down to at least the 90 GBP level, so much like against the US dollar I think we are simply trying to form a bit of a base. In other words, you have time to pick up Ethereum, but it looks as if the buyers continue to be stubborn.